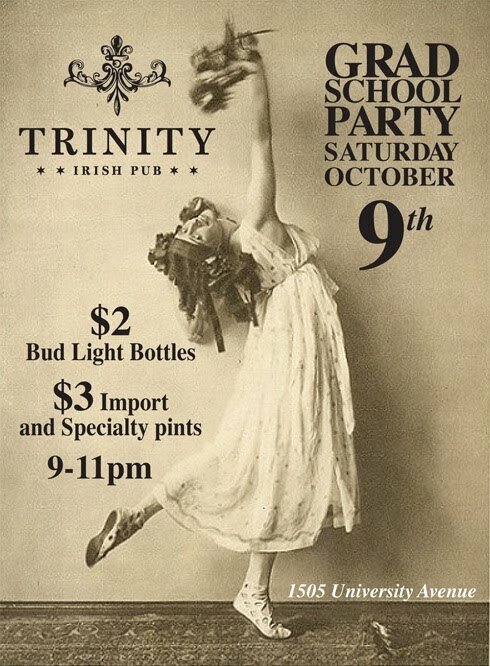 Upstairs at Trinity will be reserved for UVA grad students, faculty, and guests this Saturday. Just bring your UVA ID. Guests go in with someone. 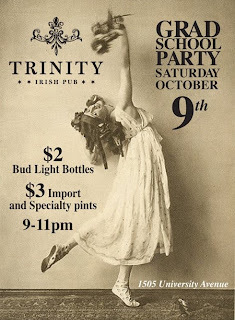 They'll have $2 Bud Light bottles all night and $3 import/specialty pints 9pm–11pm. Undergrads, if you're hanging around over break and want a "dude, that's my TA!" moment, you can get in too.